These land deals are in the face of burgeoning food insecurity in Mali where according to UN OCHA 3.5 million of people are classified as food insecure and over a million children are at risk of severe malnutrition. In fact, in 2016 Mali received over 16 million from the United Nations Emergency Response Fund to combat hunger and malnutrition. 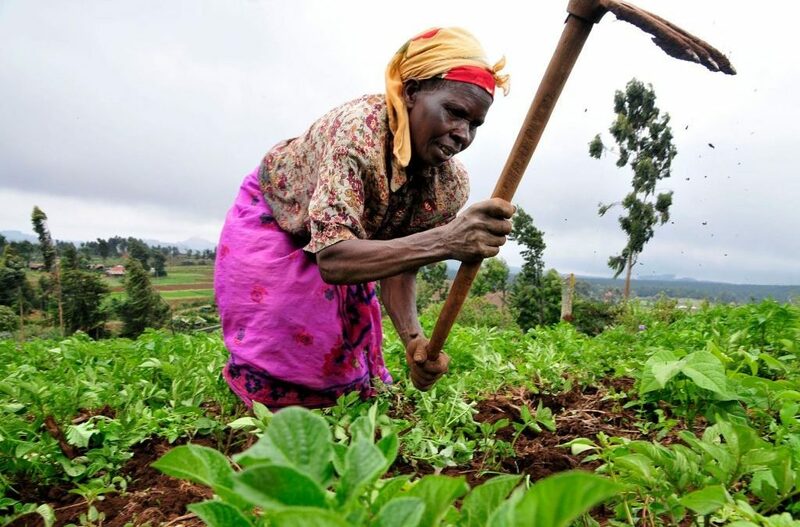 Agile International works to increase access to land for women farmers in Mali, enhancing food security and ending hunger and malnutrition and for this reason we stand opposed to land-grabbing in Mali by foreign governments and investors. See GRAIN data for Mali below. SeedRock Africa Agriculture operates in Mali and Burkina Faso and is a subsidiary of the Canada-based and British Virgin Island-registered SeedRock Corporation. Its advisory council includes several former African heads of states and ministers. SeedRock acquired 40,000 ha on the terms of a 50-year lease from Mali’s Office du Niger for the cultivation of maize, rice, sorghum, soybeans and sunflowers. Mali Sugar Conglomerate (MSC); N-Sukala S.A. In 1996, the Malian government and the China Light Industrial Corporation for Foreign Economic and Technical Cooperation (CLETC) entered into a joint venture to establish the Mali Sugar Conglomerate (MSC), with CLETC holding 60% of the company and the government holding 40%. The Conglomerate took control of two sugar factories and sugarcane plantations, based in separate locations, on 5,7000 ha of land. The sugar factories were built with Chinese assistance in the 1960s and 1970s. In 2009, the Malian government signed a deal with CLETC to establish a new sugar project, in which CLETC was given a 50-year renewable lease on 20,000 ha of land in the Office du Niger for irrigated sugarcane production, with a total reported investment of US$41 million. A separate Sino-Malian Joint Stock Company was set up to oversee this project in June 2009 between CLETC and the Malian government, called N-Sukala S.A. CLETC holds 60% shares in N-Sukala S.A., while the government holds the remaining 40%. The company also began building a new sugarcane processing plant and refinery on the site in 2009, which was completed in 2012. At the time of the agreement, however, villages were still occupying the land and construction is reported to have begun before impact studies were completed and without prior notification of the villagers. As of 2011, only 4,000 ha of the allotted 20,000 ha had been planted. In 2010, Indian firm Angelique International entered into an agreement with the Malian government for rice production in the northern part of the country, within the Office de Mopti. The project, funded by Eximbank, involves the construction of a 575-ha mechanised farm and a rice mill. In 2008, the government of Mali and the West African Economic and Monetary Union (WAEMU) signed an agreement giving WAEMU a lease for 11,288 ha in the Kandiourou and Touraba districts of the Office du Niger. Under the agreement, WAEMU will develop irrigation and then offer the lands in parcels of 4 – 5 ha for local farmers and 10 – 60 ha for private investors from other WAEMU countries.